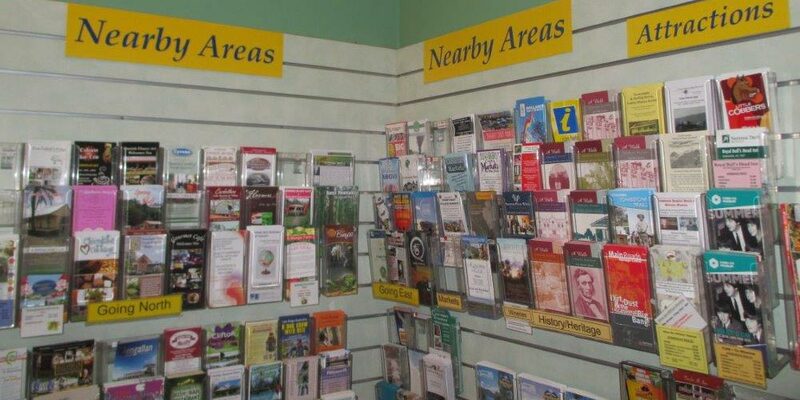 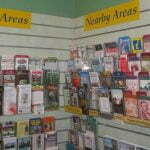 Do you want to include brochures and flyers in your slatwall display? 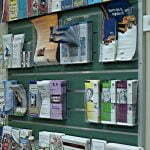 Slatwall Literature Dispensers are a great way to increase the effectiveness of the promotion of products and services. 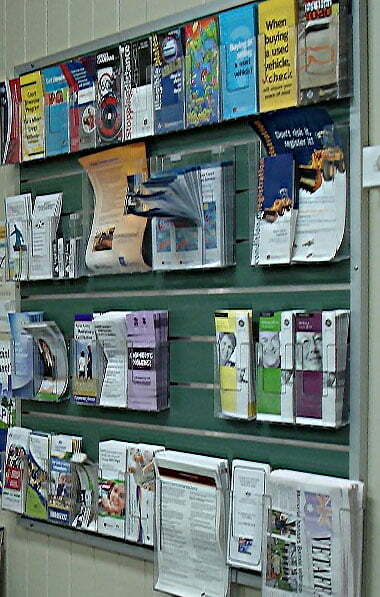 Display important literature right beside the product being displayed on the slatwall, in an easy-reach position perfect for increasing the chances of a successful purchasing decision. 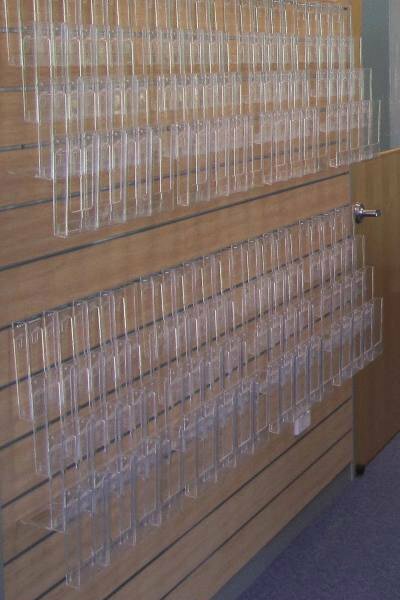 Available in A4, A5 and DL sizes to suit all your brochures and catalogue requirements. 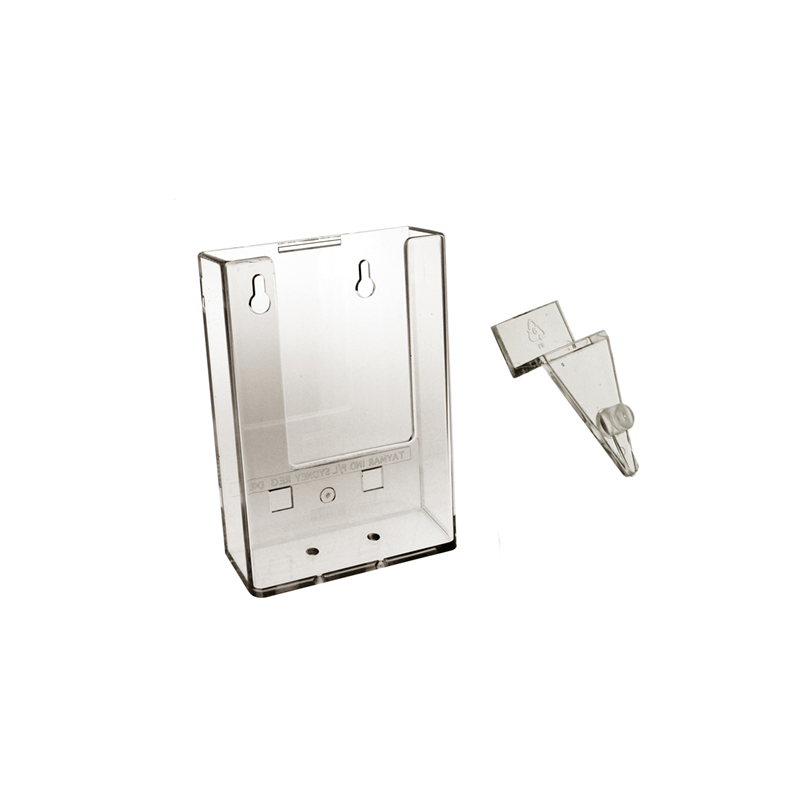 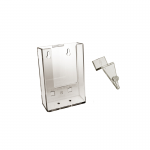 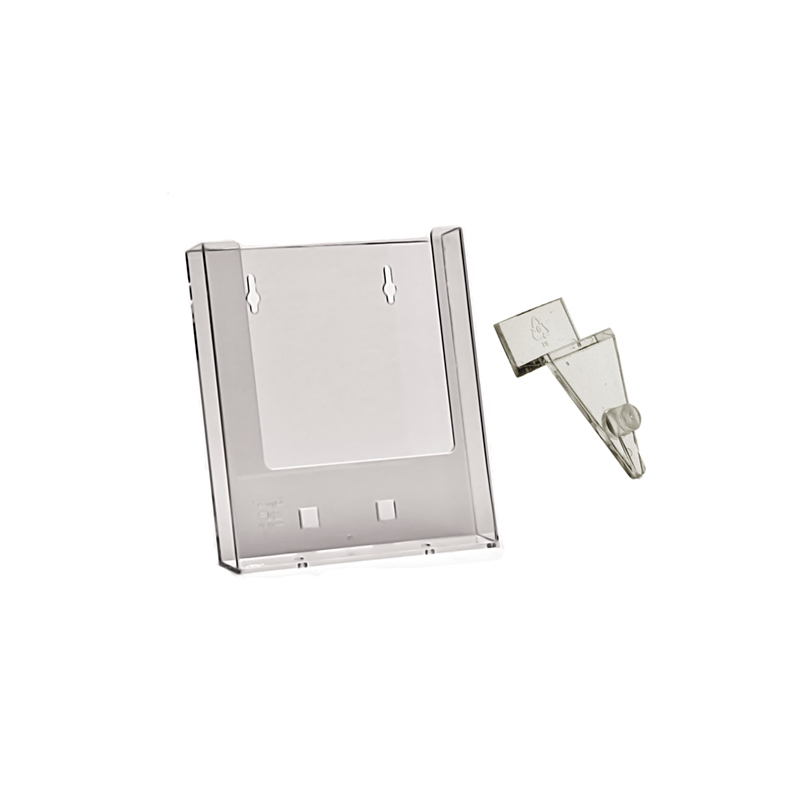 A clear Perspex brochure holder with slatwall attachments to suit slatwall or slat mesh systems.